I think we can all agree that this has been an eventful summer for the indie community. The elephant in the room has been the issue that arose due to Mentality’s base giving some customers a bad reaction or sensitivity. To break it down, some have experienced a tingling sensation while others have immense lifting from the nail bed. Ouch! Mentality took action right away and sent out a newsletter addressing the issue and immediately switched their base supplies. All good, right? Well it depends on how you look at the situation. As of right now, Mentality polishes are safe to use. But will you use them? And more importantly, did you know about the issue? That in itself seems to be the true cause for the drama llama rearing its ugly head. I think it goes without saying that our indie polish community is a close knit one. Whether it be to raise awareness or to call bad behavior out, once the fire has been lit it tends to spread rapidly. And this issue is a serious one with real consequences for those who use these polishes with the bad base. Now it’s important to be logical about this situation and not let public anger cloud our common sense. One person’s reaction to a chemical will not mean everyone will be affected in the same light. A brand can test polishes for months and never show any signs or problems. These problems such as what Mentality are facing may not arise for months after a product is sold to the public. But it can happen in rare cases and here today we are faced with just that. Bottom line, our body chemicals affect the way we react and that is not something that can be foreseen. Obviously there are things to take into account, like if a person has a history of allergic reactions. The reality of the situation is that this could happen to any brand, indie or commercial. The main public concern is how this situation is being handled rather than the actual problem itself. Within Facebooks groups the issue with Mentality has been brought up time and time again. The problem with this is what if you’re not on Facebook or simply not a part of nail groups? As of right now, there have only been less than a handful of announcements from Mentality about this tremendous issue. One of them as I mentioned was a newsletter. Customers who have caught wind of the issue through second hand sources have had to hunt for further information. Yet their Instagram and Facebook have countless daily mani reposts and new posts about upcoming releases. At the time this occurred I did see a post on Facebook about the issue, but right now it seems the post has disappeared. We have seen no outright – open post/thread - communication on the issue. And this to me as a blogger and moreso as a indie supporter is unacceptable. If you email them then they offer to replace the polishes with their current safe base. This is around a two-week wait, which is to be expected given the situation and this being an indie after all. Obviously every maker has their own opinion on how they would have handled the situation. A lot of the talk has been, why wait until customers contact you? Some are of the opinion that all polishes made during this time period should be recalled and replaced. Personally I would of preferred to receive a recall and then the option of an outright refund not a replacement. At the very least, I will say it is being handled fairly quickly when you contact them. But then we're right back where we started, what about those who don't know? You can tell me about new releases, but you can’t post a reminder of a serious issue? Perhaps if this was an issue that happened late last year, I can see why there wouldn’t be a need to rehash an old topic. But this whole situation took place this summer, a month or two ago! This is still relevant and there are still uninformed people who are possibly still using this bad base. One of the many questions that has arisen, did the bloggers for this indie know about the problem? Some say yes and others say no. Some had no effects. Some had minor. A reviewer and/or swatcher is not the same as a test wearer and I think that’s something people do not realize. Most bloggers, like myself, write about our onhand experience with the polish and the formula then remove the polish that same night. This is again, something the public needs to be knowledgeable about and realize when reading a review. Just like makers take the time to send to bloggers, they need to either allow a reviewer time to test wear or test wear by some other means (either on themselves or have a different team for it). Personally I will not be using Mentality for the time being. This is a decision I have weighed and thought about for quite some time. Bottom line, as someone who paints my nails on a daily basis I cannot willingly put myself at risk. No matter how minimal or nonexistent that may be. It’s not something I feel comfortable with and not having any Mentality polish isn’t making me feel like I am missing out. I want to repeat: this is MY personal decision. Think about it like this, if a restaurant had an outbreak where their food was harming people would you eat there again? I know some people perhaps wouldn’t for a few weeks, others for a few months, and others not ever again. It’s a personal decision and no one’s choice in this kind of situation can be deemed as wrong or right. This isn’t about picking sides or starting a witch hunt, but as customers we have the right to be informed. And with an issue of this magnitude, it should feel like more of an open book policy. 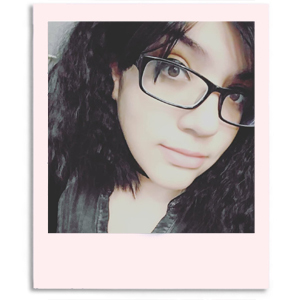 Post a F.A.Q. thread about the issue. Have a pinned post! Let customers see that you’re an open book about this situation and that you have nothing to hide. Even if that means answering a few questions over and over again, so be it. The relationship between indie brand and customer can sometimes feel like a personal friendship. And because of that the backlash and the rumors are slowly getting out of control. While I cannot speak for everyone involved, I can say my only wish from this situation is spreading the knowledge. This shouldn’t be a hidden issue that people are afraid to talk about. It happened, it’s out there, and we need to be aware. Most importantly of all, we need to hear directly from Mentality on a public platform. Not just once. Not just a newsletter. 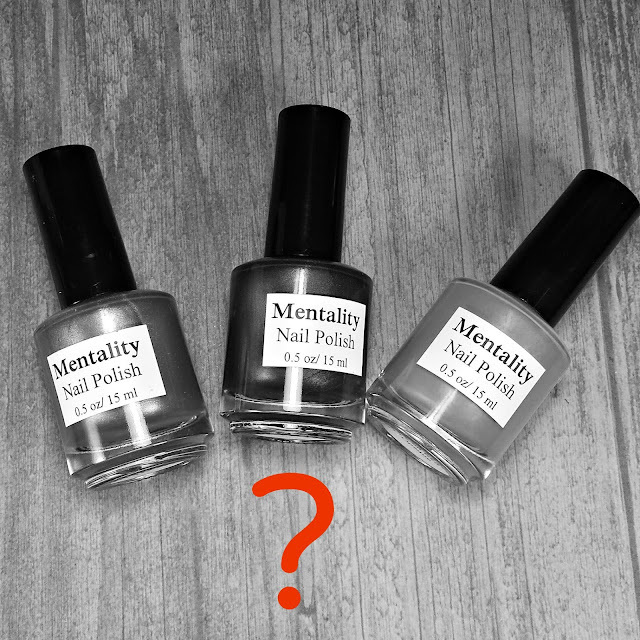 Mentality has posted an update on their social media, it is a lengthy statement which you can read as a whole here: facebook.com/MentalityPolish. This is truly disheartening as, in the back of my mind, I hoped that our demand for more information would help them see the error of their ways. Instead over the last 72 hours things have only went further down the rabbit hole. I understand the financial burden this has caused, but do you Mentality understand how your handle on this situation has affected your customers? Great post! I completely understand your side. I own my own indie brand as well, so I can see the indie polish maker side of this, so I can feel their pain. I can commend them on changing their base asap and contacting [some of] their customers through email. Really great post and I respect your decision about not using their polishes. Your restaurant analogy is excellent and on point. The whole situation is just really crappy for everyone involved! Thank you. I always try and maintain a pro-indie attitude and give them my support, but it's really hard in a situation like this. The important thing is getting all the information out there and available. Thanks for your post as well. I have a feeling someone will eventually take legal action and bankrupt their business, which is sad but unfortunately a reality they may face. And the thing that really upset me personally was reading something they said about degassing polish (what?) or that some bases have been mixed with other chemicals, acetone being listed as an ingredient, adding citric acid, etc... We as makers are not chemists!!! Ammonia and bleach for example--hello! Not all chemical bases or formulas are compatible. I think they need to do some more research if they survive this ordeal. This is super scary for other makers, customers, and anyone who doesn't want a scary nail fiasco on their hands, literally. Thanks for sharing. Exactly! I had read about that as well, but didn't know if it was one of those things that were a rumor or if it had some truth behind it. And I agree, at least at the end of the day there is light shed on issue most of us never thought could happen. It's a learning experience for all makers and polish addicts a like. They have handled this incredibly poorly and I will not use their polishes in the future (and am glad I never did in the past)! If you have the time to post about new releases, you have the time to email your customers about actual potential bodily harm. Frankly, I'd never really given a thought about safety when it comes to indie brands but this whole thing has got me spooked to try new brands! I want to thank you on writing on this Mentality issue. I was actually surprised (and posted such on a thread in a group I am in on FB) that I hadn't heard more about the situation. This seemed to be more serious of a problem than a bad batch of fading pigments, curling or bleeding glitters, or heavy pigment staining polishes, and I've heard more on those than I did this Mentality issue!! Thankfully I was not effective by this, I have one polish from Mentality that I got in a trade at a spring polish meet up, it's been in my untried box for months and I will not be using it on myself, I will use it for my Dragon egg craft insted. Again thank you so much for doing this blog post. As always, I respect your honesty. Thank you so much for posting! I had no idea why my nail was lifting off the bed and painful. I had purchased during a sale and just recently used those polishes, and did not connect the problem to MNP, as there is literally no info out there. I have contacted them, and we'll see how it goes from there. Again, I can't thank you enough for making me aware of this problem! Great post. I had never used Mentality polish until I purchased 2 large collections during that time. I only heard about it through a Facebook post and then went to mentalitys website and Facebook page for more info.. Nothing. Not a word. I had only wore a couple of the polishes and hadn't had a reaction but having multiple chemical sensitivities and needing my hands/nails in tiptop shape I simply wasn't wiling to risk it. I emailed and asked what the process was for replacement and they immediately said they would replace both collections. I was pleased, but I haven't received anything yet... We'll see. I won't be purchasing anything else, that much is for sure. I agree, I have never used mentality but do follow on instagram. The incident in itself would not turn me away (could have happened to anyone, though a wear test on multiple people seems like a good idea) but I feel mentality shpuld have contacted everyone would bought/possesed these personally and made more announcements on social media. This is dangerous and scary, and it seems a bit swept under the rug. At first I thought the ingredient was no big deal, ( it's in mani bombs ) but when I read thst it was a reaction with the base I understood it would affect many more people than a minority with sensitivities. I don't like to put links in comments, but I just made a blog post about issues I had with nails lifting as a nail blogger (not from Mentality Nail Polish). Do you mind if I post it? I just sort of raise awareness that this can easily happen to others. Thanks! Please feel free to share it, I know I'd love to read it as well. I'm glad I hadn't purchased any Mentality polishes yet and now I don't know if I will. Great post! Thank you. Yes, I know a lot of ladies who feel exactly the way you do. And with good reason. I know I personally won't be purchasing from them again. Excellent post and I love the scientific POV you used. As a blogger myself, the health of my hands and nails are seriously important to me. If they weren't, I'd be blogging about home decor or greenhouse herbs. So yes, I'm very protective of my hands. On that same note, I want my followers to be safe and enjoy the products they read about on my blog. In regards to the folks who stoke the fires of drama, I don't get it. I know it can be a struggle financially to be an indie company. I will not respond to overly dramatic and catty comments or blog posts about this subject. I can discern when a blogger or commentor is just being mean. Some people just wear snarkiness and the "truth mantle" like a badge. But at the cost of bringing down a company? I'm not siding either and companies dealing with a major health scare for the first time need to handle the problem as if they were protecting their baby. Because their product, and their customers are their babies. If their PR campaign for damage control fails, so can their business. As a footnote, your post here is the fairest to-the-point statement I've read this far! Well done. I'm a customer, bought 4 bottles in June. I received no newsletter. I just found out about this 2 hours ago after reading a post from another maker. I then had to join another fb group to get the information on what happened. I had to keep chasing info only to discover they are out of money and done refunding/replacing. Not happy with the total lack of accountability and minimal effort put into contacting customers. Thank you for taking the time to write this post. I completely agree with what you said. They should have been handling the situation differently. Instead they are promoting sales and new collections. There are people out there that are quick to jump at filing a lawsuit and I honestly hope it doesn't happen. They should have had better communications with their customers and because of this I've seen a lot of people say that they will be taking their business elsewhere. I myself have never purchased any polishes from Mentality and have a few on my lemmings list that I was going to see about picking up next month. But after all of this and what I've read and seeing how their dealing with the situation, unfortunately I myself with not be purchasing from them as well. I just don't want to take that chance. I received a mentality polish as a gift from a friend a while back. After a day or so of wear my finger tips had a burning sensation. My fingertips turned a very angry red colour around my nail bed area that resembled a chemical burn... . i thought it was from all the acetone i had been using.. I only found out about the mentality polish shamozzle yesterday! They should have done a better job of informing people!